Everyone tells you to go to college. Everyone knows college is a good thing. It’s become so ingrained in our society that most of us don’t even question it. But what many of us can’t put our fingers on exactly what to value of college is. 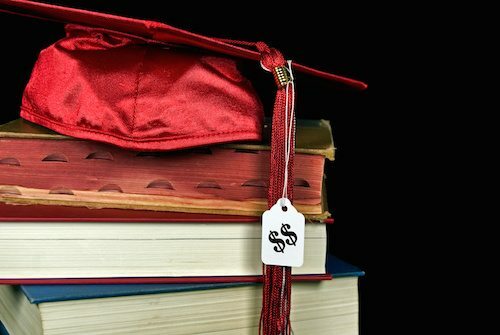 You may not know if you can afford to go to college, or if you can afford not to go to college. The Wall Street Journal warns that prospective college students need to be “skeptical, frugal, and demanding.” You may wonder what you can do in college that you can’t do anywhere else. Seriously, what makes college worth all the time, work, and expense? The classic TV show Kung Fu may be the best example of the Grasshopper Theory: finding a wise, trustworthy mentor can be the key to an education. Getting an education is part of maturing as a person, and a good mentor can not only guide you through your college career, but provide guidance to carry you into life after school. Christopher Nelson, of Saint John’s College, explains that finding a mentor is one of the keys to “linking the college experience to success at work and overall well-being.” College is full of potential mentors – coaches, professors, advisors, lab supervisors, librarians. These are people who can help you choose your courses, support you through stressful times, and give you career advice based on your strengths and talents. You can improve your college experience by intentionally seeking out mentors. Most people make friends all their lives – you have childhood friends from the playground and summer camp, and high school friends who saw you at your most awkward and uncomfortable. But for many people, college is the time when you find your people – the people who share your interests, your values, and your enthusiasms. In college, you’re not just thrust together because of where you were born or what high school you were assigned; you’re all there for the same ends. Often college is the time when you discover what kinds of people you fit best with, what kinds of people you want to emulate, and what kinds of people you want to share your life with. Many lifelong friendships begin in college, and that’s an investment that never stops giving you returns. The time spent in college doesn’t just give you a piece of paper at the end, or even a solid chance at making yourself a living. College is also a time of experimentation and self-discovery. Take classes in topics you never heard of; join clubs where you meet people from different backgrounds; attend cultural events where you experience food, dance, music, and art from all over the world. It’ll probably be a little embarrassing sometimes; the hats you try on may sometimes look silly. But the more you try, the more chance you have of finding what fits. Believe it or not, not everyone knows what they want to be when they grow up, whether they’re 18 leaving home for the first time, or 38 and going back to school for a mid-life career change. Maybe you haven’t had enough experience in life to predict what your future will hold; maybe you have skills you’ve never tapped that can help you take your future in your own hands. College is the place to find your future – to make it, even. The New York Times tells us that, even with concerns about student loan debt and the job market, college is still the “most reliable ticket to the middle class and beyond.” Learn skills that will carry you into a career you can be proud of; practice learning and adapting so you can roll with all the unpredictable changes that come in a life; develop your mind so you can see a solution in every problem. A degree isn’t just a piece of paper – it’s proof that you’ve earned the future you want.